According to Editors, Eckhard Feddersen and Insa Ludtke, the aim of Lost in space is to take the topic of building for people with dementia as a starting point for a wider creative renewal of the built environment. In doing so, they are revisiting one of the most fundamental aspects of architecture: how we perceive space. In particular, how those with dementia can live a good life in spaces that are well designed for them. The essays and projects documented here act as an excellent guide for all those involved in designing for those with dementia. These include architects, interior designers, town planners and local authorities but the book is also of relevance to people with dementia, their families and friends. As the authors say dementia is more than just a diagnosis that applies to individuals, it is a concern for society as a whole, and therefore they suggest that creating appropriate spaces for those with dementia can only benefit us all, and their book shows how this might be achieved. The contributions are principally from European countries, such as Germany, but the entire publication translates well into perfect English. With appropriate statistical information, quality photographs and illustrations the book is a delight to read. All 230 pages examine space and design issues in different dimensions. Over 30 authors have contributed to this publication and they are organised in six chapters, titled in useful ways. The first being lost in space by the authors. Other topics go on to describe the many and varied projects, all of which are of real relevance for designers and architects. Several chapters contain valuable research findings that predict a future with increasing numbers of people diagnosed with dementia. There are more than 35 million people all over the world with dementia, but that is expected to double by 2050. In Germany, for instance, certain diseases are already well catered for, but despite Alzheimer sufferers needing ongoing healthcare, they are largely disregarded according to the authors. Other countries do have well-developed exemplary programs that deal with preventative measures and appropriate care provisions for dementia sufferers. Many of the projects illustrated relate to urban developments and from these experiments it is clear that one common lesson learnt is that living spaces need to be simple — those with dementia learn to navigate their way without feeling confused and anxious. 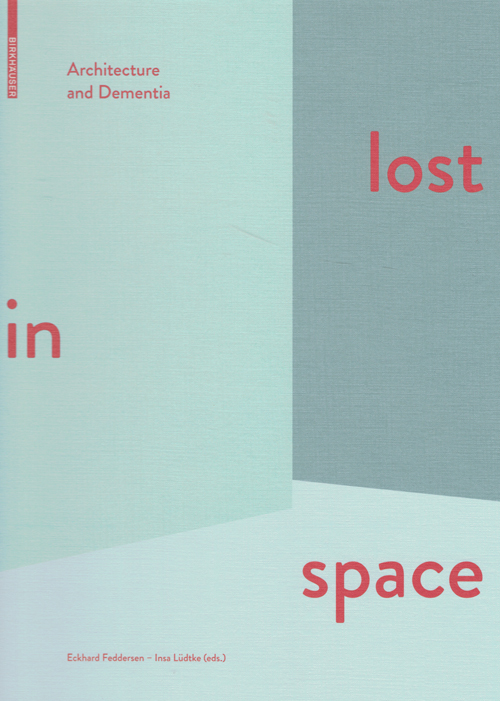 Lost in space describes the memory loss that accompanies the various forms of dementia, but it also alludes to the designer’s role in creating spaces for those with dementia. This is a book that shows how designers and architects can ensure that those with dementia are not lost in space. More broadly, the book suggests that a designer’s role is not always to manufacture products but to design spaces in collaboration with those in need of care, which is an important and creative role for designers to play. This review is based on Lost in space architecture and dementia published by Birkhäuser. This book is availablein the State Library of Queensland’s Asia Pacific Design Library’s design collection and can be borrowed if you are an State Library member.